WHOEVER SAID IT'S LONELY ON TOP HAS NEVER BEEN THERE. 37+ GALLONS OF CARGO SPACE - The longer the hauls, the better. The Indian Roadmaster® offers over 37 gallons of weatherproof storage between the saddlebags, trunk, fairing amd lowers. The storage compartments in the lowers can be accessed from the font seat, and the saddlebags and trunk can be locked and unlocked remotely with the key fob. REMOTE-LOCKABLE HARD SADDLEBAGS AND TRUNK - Your cargo is protected inside convenient, spacious hard saddlebags with weatherproof seals. You can even lock them remotely using a console-mounted button, or via the bike’s key fob. OUTSTANDING STEERING GEOMETRY - The steering geometry of the Roadmaster ® was engineered to deliver light, responsive handling, whether ridden solo with no cargo or two-up with full saddlebags. DESIGN INSPIRATION - To design this fairing, our team looked for inspiration outside of the motorcycle industry. They landed on the sleek and powerful streamliner locomotives of the 1950s. With these classically styled machines as their guide, a new icon for Indian Motorcycle ® was born. LED HEAD AND DRIVING LIGHTS - As if the Roadmaster ® wasn’t already premium enough, it also includes LED lighting from end to end, illuminating the road for safer riding, day or night. PUSH BUTTON HEIGHT-ADJUSTABLE WINDHSIELD - With a push of a handlebar-mounted button, this windshield can quickly raise or lower up to 4 in. electronically. Lower it to enjoy the cooling airflow. Or raise it to block out wind and rain. PREMIUM LEATHER DRIVER/PASSENGER SEAT - A plush, leather two-up seat delivers long-riding comfort, with independent heat controls for you and your passenger. ADJUSTABLE PASSENGER FLOOR BOARDS - Spacious, adjustable floorboards provide room to move your feet and legs for all-day comfort on even the longest rides. 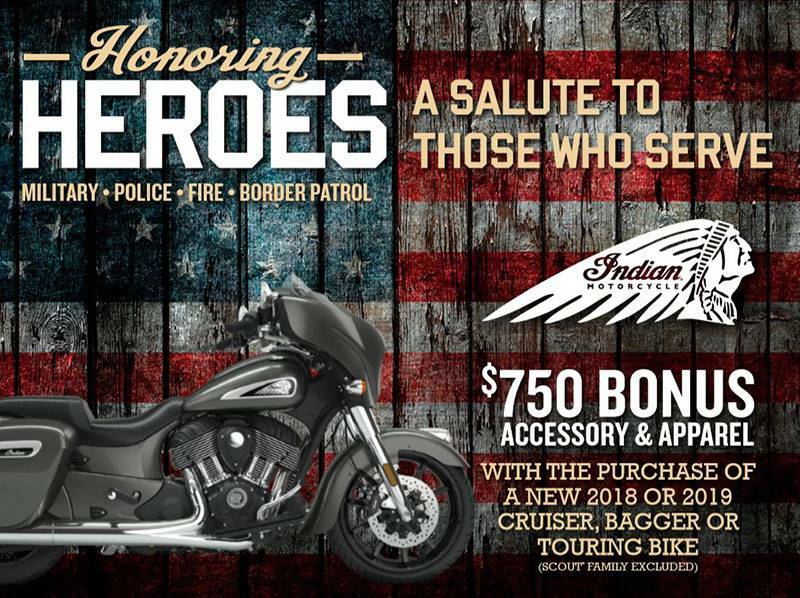 PREMIUM CONCERT AUDIO - The Indian Roadmaster® features an integrated 200 watt audio system that delivers premium-quality sound from high-output fairing and trunk speakers. Smartphones and other audio sources can be connected via cable or Bluetooth®. 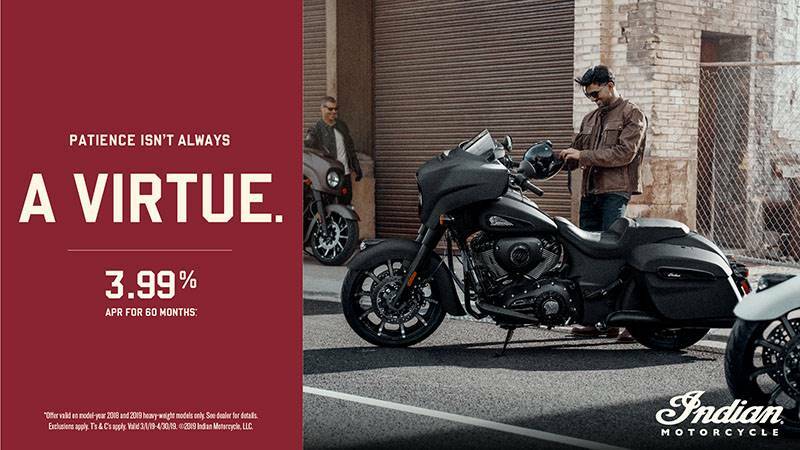 THE INDIAN MOTORCYCLE® RIDE COMMAND™ SYSTEM - Pinch. Swipe. Tap. All without removing your gloves. Through this industry-leading seven-inch display, you can get turn-by-turn directions. Quickly find points of interest. Play Bluetooth® audio. Check vehicle information and status, plus a whole lot more. And thanks to split-screen technology, you can easily customize the display to focus on the details that matter most you most. CAST ALUMINUM FRAME - The Roadmaster’s®cast aluminum frame is lightweight yet exceptionally strong, providing excellent low-speed handling. There’s no frame flex at speed in the corners, and you’ll experience confidence-inspiring stability on the highway, where it matters most.